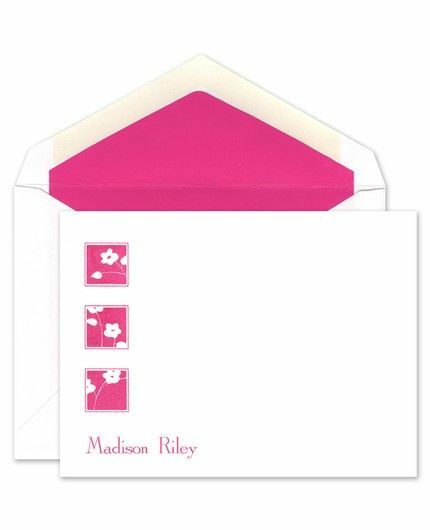 Send a personal message with this pristine white flat card adorned with three squares, in the ink color of your choice, on the left side. Each square features flowers and is framed by a matching border. Your matching name is placed below the squares, for that extra personal touch.